Federal Premium Slug Shotgun Shells for Hunting. 12 Gauge, 2.75", 1 oz. Box price, 5 Shells/Box. Forget what you think you know about smooth bore slug gun accuracy. 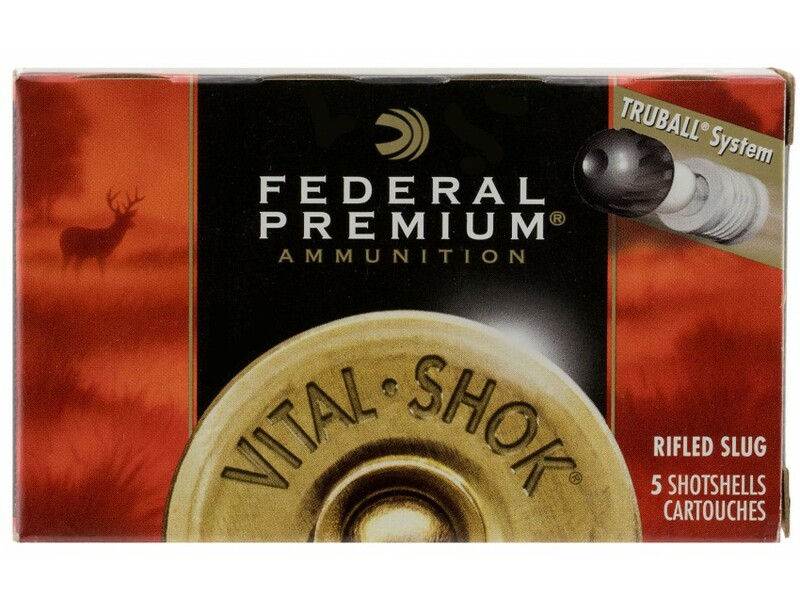 The Federal Premium TruBall is the most consistent smooth bore slug on the market, capable of groups as tight as 1.4 inch at 50 yards. The TruBall system locks the components together, centering and pushing the rifled slug out of the barrel. This promotes clean separation of components after muzzle exit to ensure the best accuracy.